Ruby Jane Boyd was a descendant of the West and Central Africans enslaved and shipped to the Americas by way of the Atlantic slave trade which began in the 1500’s. An orphan, Boyd began drawing pictures of a father figure when she was five years old and this figure became the ancestor she painted and drew continually during her life. 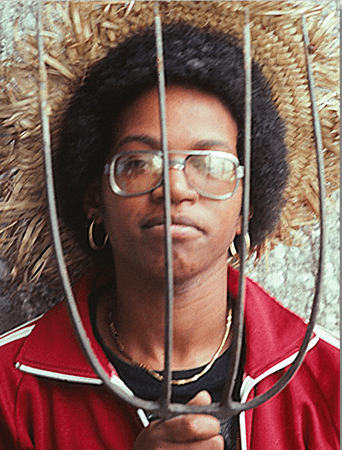 Active in the Black Panthers and other social activist groups, Boyd addressed the lack of opportunity for women and blacks, especially in the world of art, and her work contains themes of oppression, origins and loss. 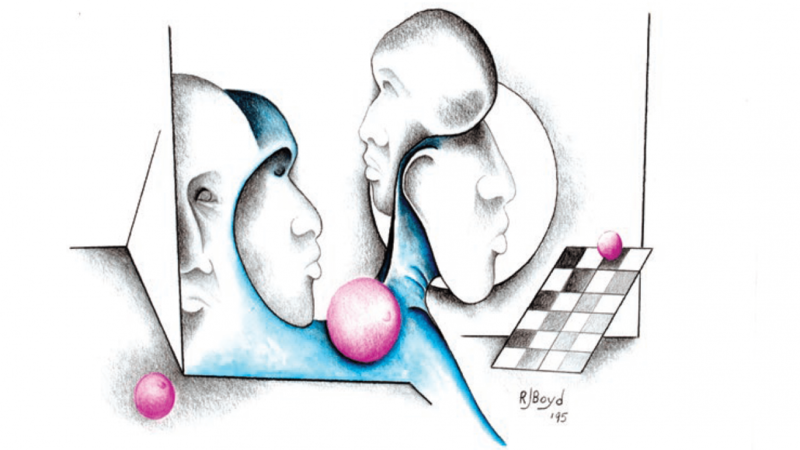 Her love of jazz and chess, and her interest in the history of Africa are also expressed in her work. Boyd studied art at Cypress Community College and Chapman University in Orange, California. She worked as a janitor at night and did her artwork during the day, filling her garage with sketches and canvases. She never exhibited at a gallery or museum during her life, but it was her dying wish to be in an exhibit after her death.